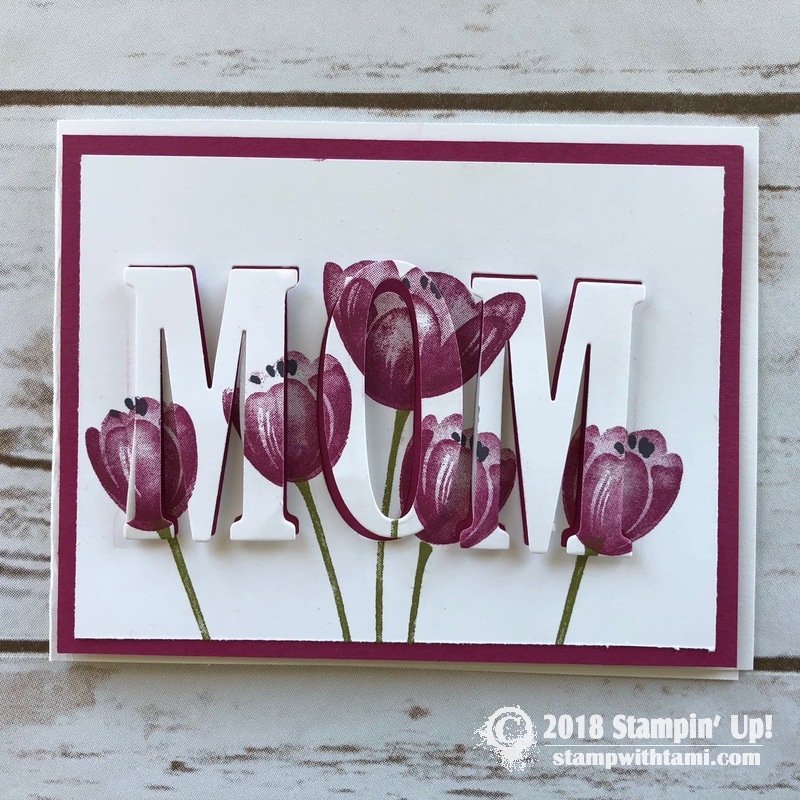 Welcome to my Stamp It Demonstrator’s Group Mother’s Day Theme Blog Hop. We’re all really excited to unveil our projects, and announce a new contest give-away (below). To continue on your journey through our projects, simply use the BLOG HOPPERS links below. 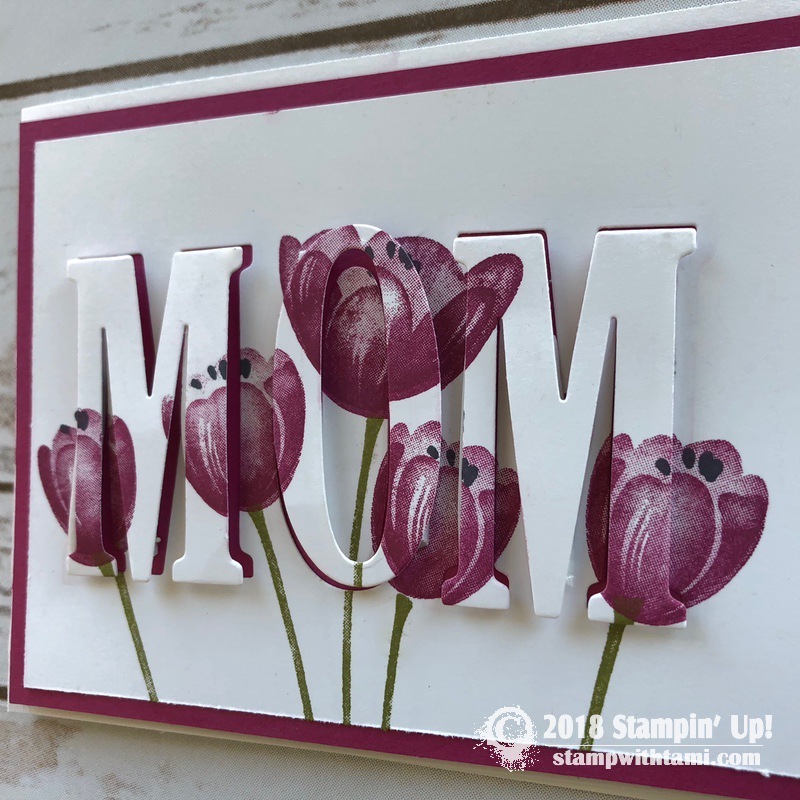 My project share is how to create this set of Mother’s Day cards from the retiring Stampin Up Tranquil Tulips Hostess Stamp Set and Teeny Tiny Wishes stamp sets. All 3 feature a unique “pop”, including 2 different styles of Eclipse Card techniques. 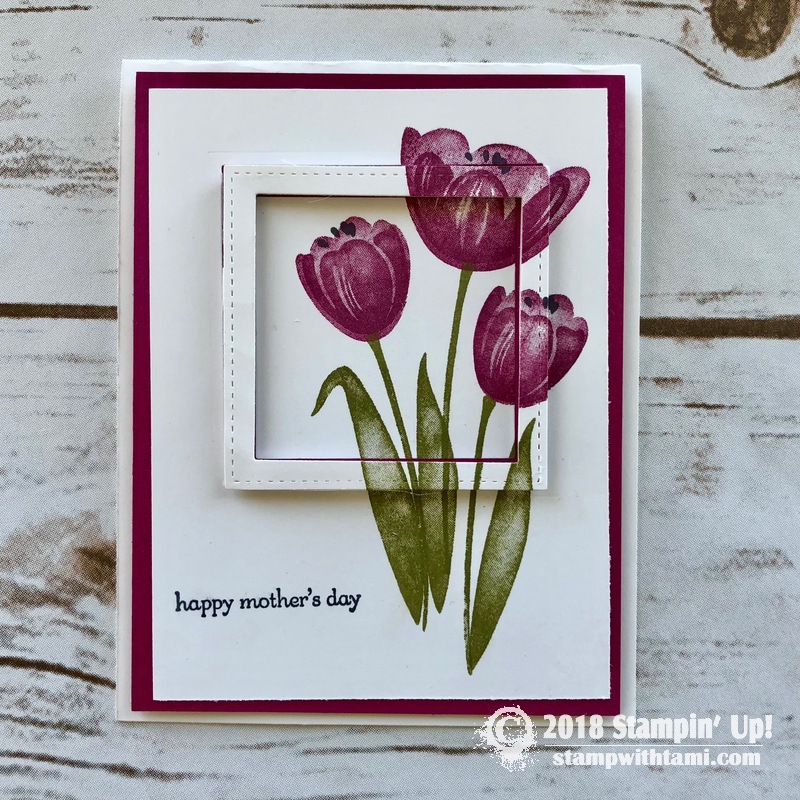 One great part of the Teeny Tiny Wishes stamp set is that it is full of greetings, and you can simply switch the “Happy Mother’s Day” greeting on the front with “Happy Birthday”, “Congratulations”, or “With Sympathy” to make this card design work for many different occasions. 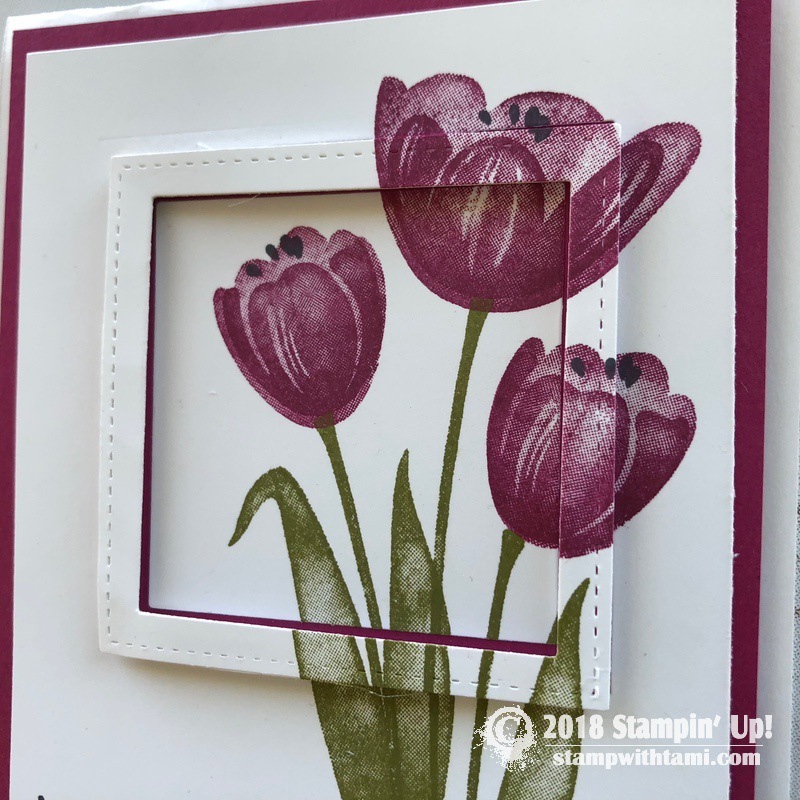 The Tranquil Tulips stamp set is a hostess stamp set. This means it’s a special edition set available with Stampin’ Rewards, which are “free dollars” you can earn with hosting a workshop, placing an order over $150 in my online store (single or combined with friends), by joining my Online VIP Club and you can also get hostess stamp sets with my Frequent Buyer Point Program. 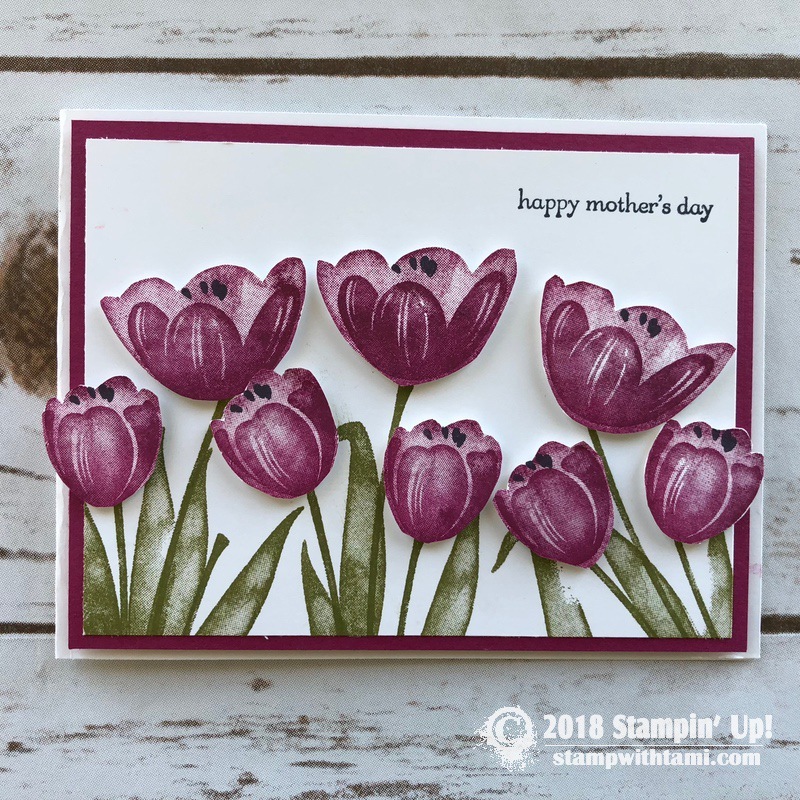 In addition to these, you can win the Tranquil Tulips stamp set one of my live streams today (Youtube or Facebook). 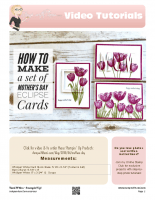 If you don’t have the Tranquil Tulips Hostess Stamp set, the Bunch of Blossoms Stamp Set is a great substitution. Bunch of Blossoms set isn’t retiring, so it will be available in the new catalog that comes out in June (in case you’re watching this after Tranquil Tulips retires, or weren’t able to get it in time). 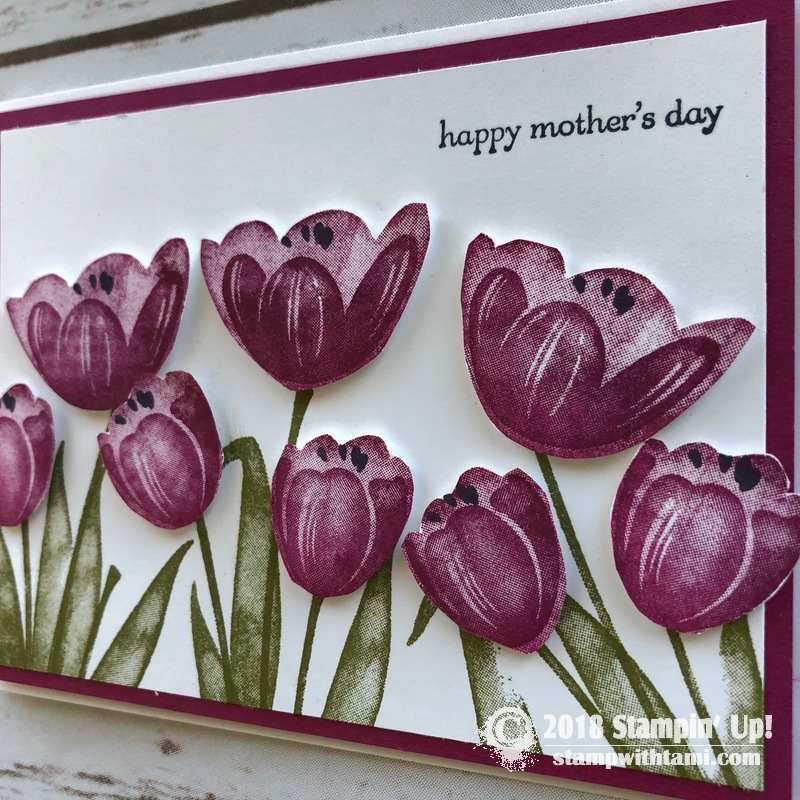 I’ll live on YouTube and Facebook at 10am EST sharing creating this set of Tranquil Tulip cards. If you can’t make it live, this video replay will be on here on my blog, Facebook and Youtube along with an “after live” drawing (below). We’re getting ready to retire stamps and accessories from both the annual and occasions catalogs. Download the PDF for a quick reference, or use the Excel file to sort the list by product name, price, page number, discount, availability, or product type. This is a blog comment entry. 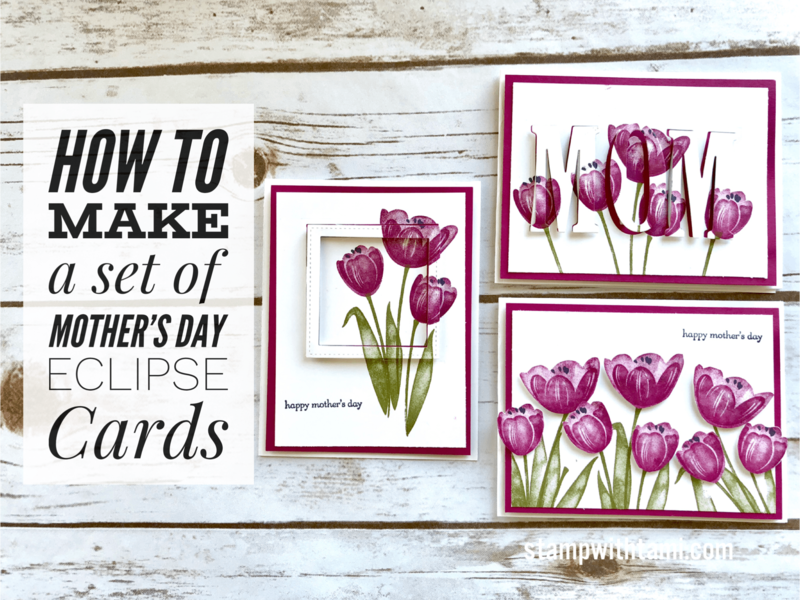 Leave a comment below on this blog post to be entered. Be sure to include #stampitcontest (exactly). You may enter multiple times by leaving a comment on each blog in the hop. One comment per person per blog will be entered. #stampitcontest …Hope you have a great long weekend! !